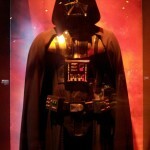 Is there science in Star Wars? 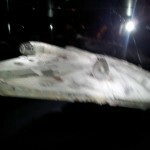 There were several of the ship models there, which were fascinating to compare and contrast. Shape gave clues as to whose side each ship belonged to. Also, because the camera would be traveling quite close to the models in some cases, the detail on those was amazing. Interestingly, there was no correlation between model size in this world, and the comparable size of the ships in the movie world. 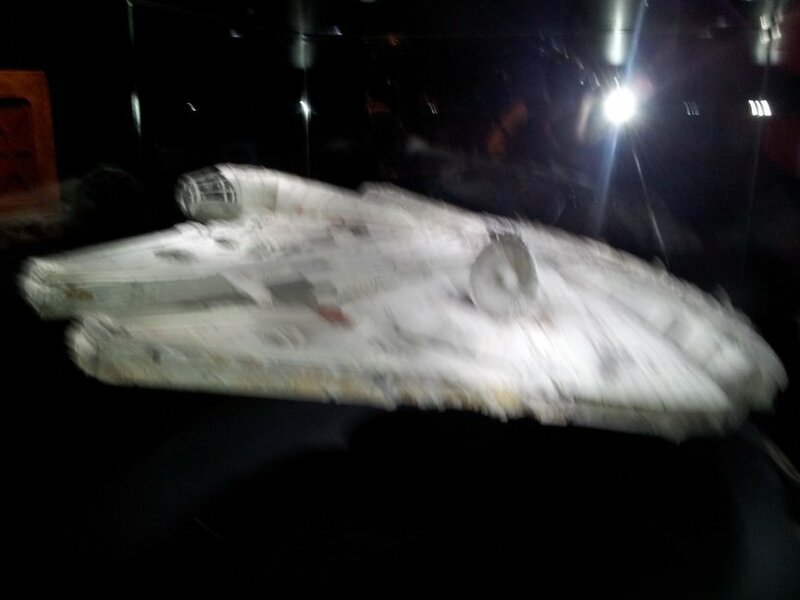 For example, the Millennium Falcon's model was much larger than those of the triangular Imperial Star Destroyers — and was much more battered and weather-beaten in appearance… if you can call a space ship weather-beaten. 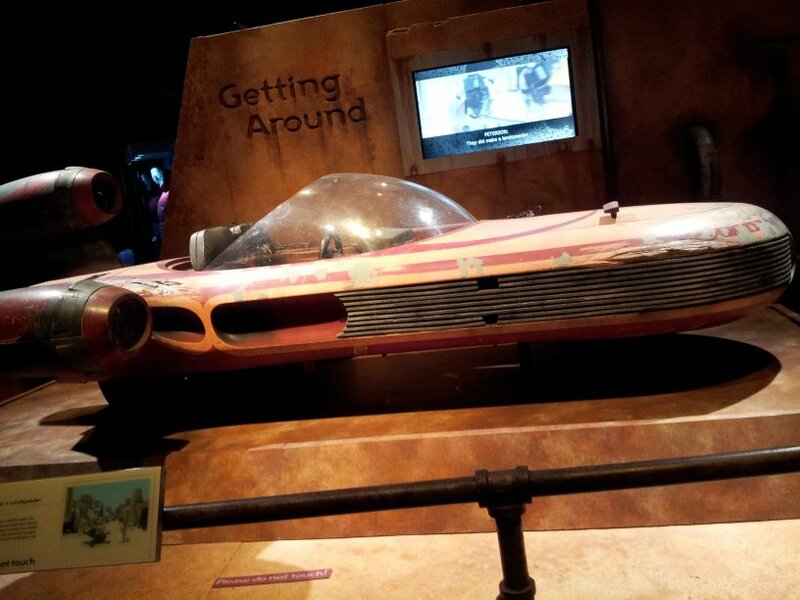 Luke's landspeeder was there as well, and it also had that shabby, constantly-worked-on appearance. I'd never noticed before (and my photo doesn't show it, alas), but the left rear nacelle has the cover permanently removed for ease of repair. The little videos by the displays explained a lot of how the ships and general background were conceived, which was nice. Even the vehicular and building paint jobs were careful to add in stains and leakage marks as well. There was clearly a lot of thought put into how to make the ships look old, well-used, maybe even antiquated. Oh, one amusing bit: it's not until you can look right at the landspeeder that you realize something: in the scene where Luke flies Obi-Wan and the two droids into town, C3-PO's legs had to be removed! There wasn't actually any space for the actor to put his legs if he'd actually been sitting there. 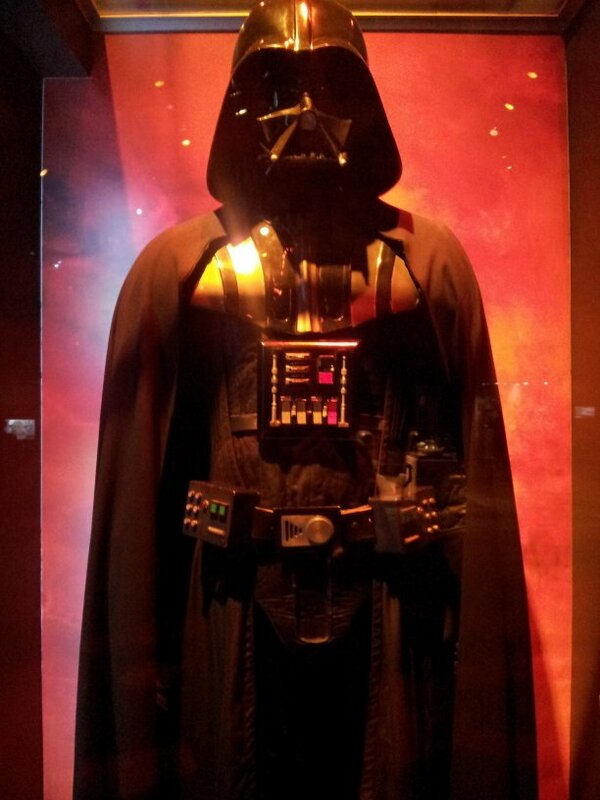 Darth Vader: the one, the only. It was perhaps uncharitable of me, but my thought was that the further into the movies we got, the less thought went into the character types. 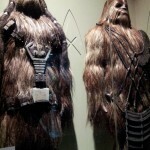 For example, the Wookie display was quite nice — the museum did a beautiful job of presentation of the various props — but if you look carefully at the Wookie on the right in the photo, you'll see that the layered-plates thingie he's wearing hangs over his thighs and knees. Wouldn't that be incredibly annoying to have banging and bouncing against your knees as you walked around? Or is this guy supposed to remain always seated? 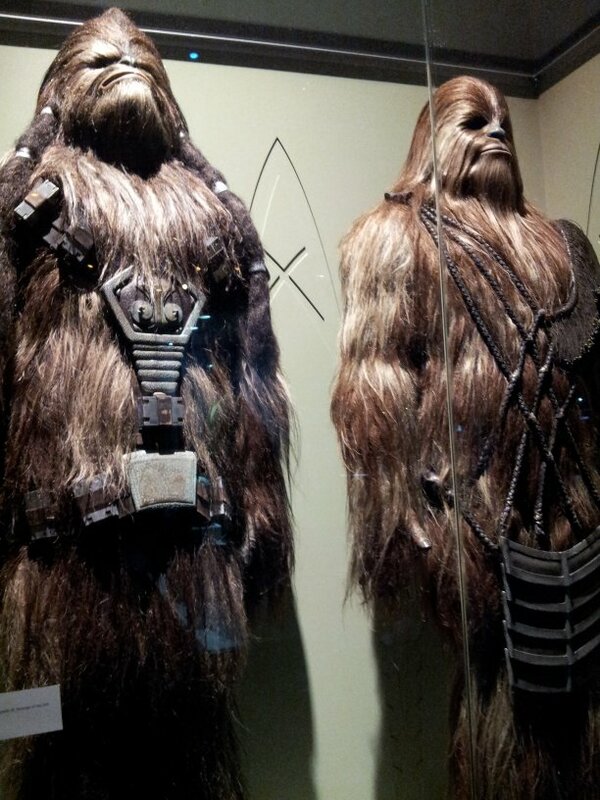 However, it was at the Wookie display that I consciously noticed what a beautiful job the museum did: each display box was matched to the contents! Thus descriptions of the rather organically oriented Wookies was in a faux-wood box with gracefully curling braces at each corner — while the life and people from the desert planet were presented in what looked like weather-beaten white stone displays. Ships and the Imperium's displays were encapsulated in glassed-in boxes framed with brushed, polished steel; and so on. It was really nicely done, and the multiple little videos available at each display kept things fresh and interesting to passers-by. My only regret there was that there were no directions on which buttons to push in which order. 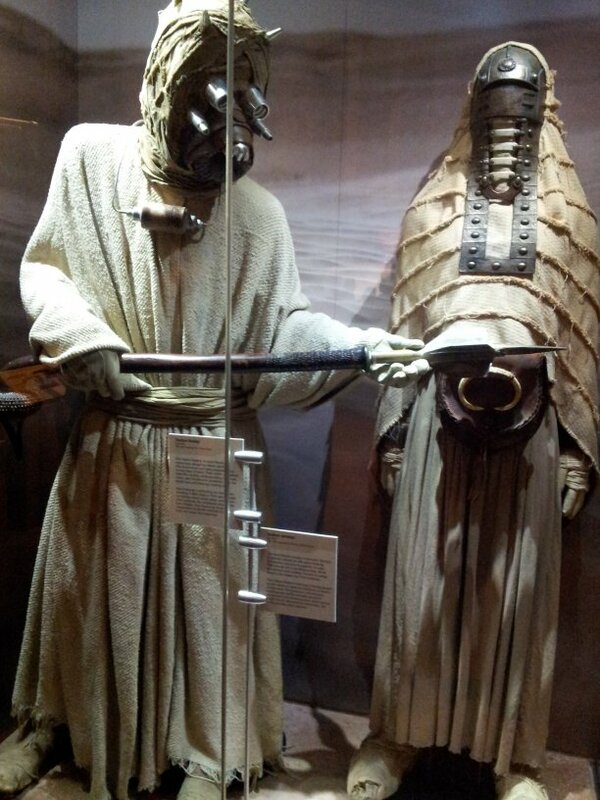 Tusken raiders: don't move, woman! The Tusken raiders were another case where, in the later-made movies, I think they weren't really thought through… and the movie makers were just using our culture's anthropological shorthand to quickly whip something together. For example, as nomads the raiders apparently were culturally coded as strongly patriarchal (though in our world that particular association of "barbarian nomad=patriarchal" has fortunately been decisively disproven) with all the male raiders leaving their women and children back at camp when the males went off on raids. But in a universe with satellites and flying droids, isn't that just a good way to get your families slaughtered while you're not there to defend them? In fact — brace yourselves for an onslaught of pragmatism here — might it not make more sense to teach the women to fight too? Duh. 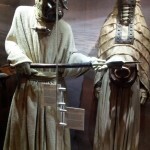 Also, the display presented us with an armed male raider, threateningly holding his weapon out in front of an unarmed female Tusken — and, of course, it's not clear whether he's menacing her or the viewer. Further, the female is shown wearing a (supposedly characteristic?) iron mask clamped to her face! Not only did it look painful, but moving and breathing through the long, heavy, partially rigid thing hanging down her front must have been an ordeal. One of the other things the Tech is really good about is hands-on displays which allow you to experiment with things. There was a hovercar, for example, though sadly you were only allowed 30 seconds per person, and the area it was in was too small to really play with much. 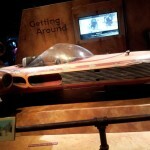 There were some displays that allowed you to experiment with magnets similarly to how Luke's hovercar didn't work, but modern maglev trains may soon. There was a set of mechanical legs you could manipulate with levers which showed you just how complex simply walking would be for a droid. There were also three simple little games which looked somewhat like the chess game in the original movie, in that they had effectively a sort of visual scene playing over the display, and allowed you to place objects in order to accomplish a few stated goals. There were others too, though unfortunately I'm not currently remembering them. The only downside I found was that many of the games were a bit battered or lacking in reaction times from having seen intensive use over the entire span of the exhibit. Otherwise they were all clever and intriguing. Action figure display: now with token female pole-stripper Leia! Of course the exhibit ended at the little store, and I was amused to see there too an example of thoughtless androcentrism: the action figure display was full of figures… all of whom were male. Now, to be fair, the entire series of movies is shockingly void of women, and honestly I'm not sure I'm that interested in a future where there are a kabillion men to every one or two women… but seriously: really?! 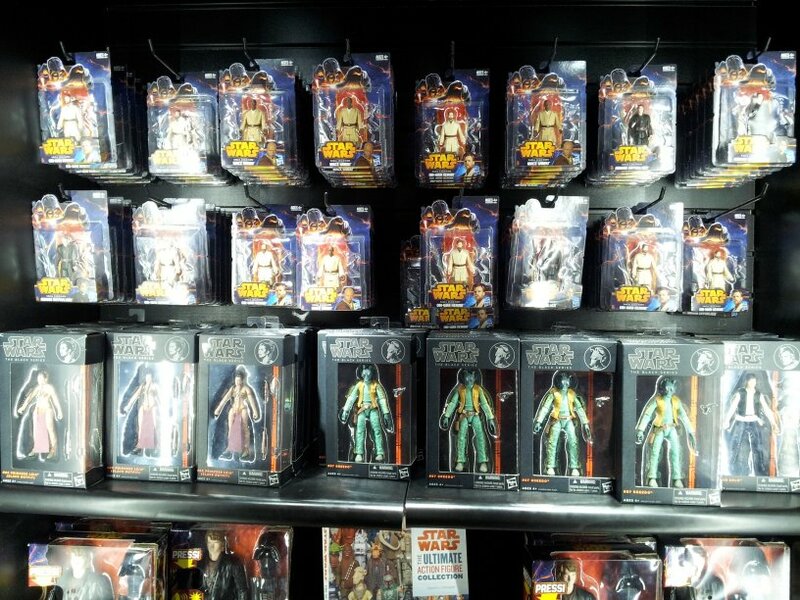 They didn't have any Padmé Amidala, for example, but they had a whole section of Greedo? What were they thinking?! Also no Aunt Beru, no female Jedi such as Shaak Ti or even exes like Aurra Sing, nothing but males — with one single exception: there was a Leia action figure. Unfortunately it wasn't Leia in white robes from the first movie, or Leia in forest camo for the second, or anything similarly competent. Nopenope! Gotta make sure our little girls know their proper role in life as mere accessories to the male action-adventurers of the world, right? 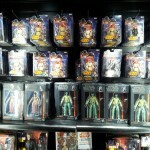 -because the only female action figure in the entire freakin' display was: pole-stripper Leia in her slave-girl bikini. Bleah. So anyway, the Star Wars exhibit at the Tech was beautifully presented, and — like Star Wars itself — quick and light and amusing. I suspect kids will love it. Check it out! Interesting… upon re-reading my reply it hit me that we can simplify that even more: if we ignore that the nature/nurture debate is in actuality a false binary, then when asked to choose, I still prefer the potential power of nurture over the ubermensch nightmare of nature.